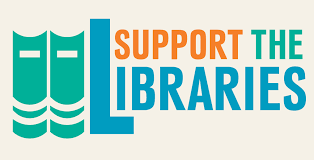 The best way to support the library is to use its services. Check out books and movies, utilize the interlibrary loan system, bring your kids to story time or join the book club. But for the library fanatics among us, there are other ways you can help. If you value what we do, spread the word. Tell your friends and neighbors. Write a letter to the editor of the newspaper. Tell your city officials. Show us you care by joining the Friends of the Library. As a citizen of Caledonia and Houston county, your local and state taxes help, in part, to fund the library and its services. When individuals and business go above and beyond their tax contributions, they are helping provide valuable services to the community. Remembering the library in your will is a thoughtful and generous way to ensure that the library continues to serve the community for generations to come. Giving the gift of time is one of the most generous ways to show your appreciation. Donating materials, equipment, or furnishings is another wonderful way to help the library. If you are interested in supporting the library in any way, please contact the library at 507-725-2671 or email the library director.